On January 31st, Treyarch released the Pro Moshpit playlist as a prelude to League Play, but the feature isn’t perfect. 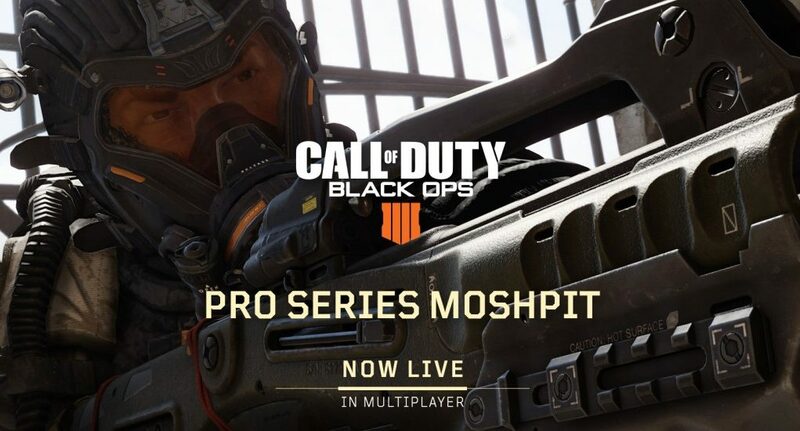 The Pro Moshpit playlist provides an in-game playlist to play Black Ops 4 as the pros do. It is the first in-game competitive feature since the game’s release apart from the CWL ruleset in Custom Matches. The feature has been widely played by gamers ready to get their hands on League Play when it arrives mid-February. While the playlist is a welcome addition, we believe it could be improved significantly with a few simple changes. First, Friendly Fire parameters should receive a change of some sort. The current system allows for one teamkill with no penalty and then an immediate kick on the second teamkill. While this does deter trolling, it also leads to a whole lot of 4v5 games. 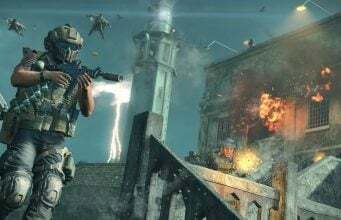 Black Ops 4 is fast-paced and teammates will naturally get into the way of some friendly fire. Even in professional matches, team-killing is quite common. We suggest either raising the kill limit to around 4 or 5 per player, introducing a “vote to kick this player?” feature similar to Halo titles (this would take longer to implement), or a simple removal of Friendly Fire. We understand the importance of Friendly Fire, but perhaps Treyarch could create a version of the setting which only applies to killstreak damage. Second, the gamemode lacks a dedicated lobby as it is a simple playlist. This is understandable as it serves only as a stepping stone to League Play’s release. With that said, the lack of a dedicated lobby means player’s cannot see what items are not allowed until they are in a match OR inside a multiplayer lobby screen. The CWL ruleset can be found of websites such as Gamebattles or Call of Duty’s own website, but we believe an in-game ruleset listing should be added. Player should not have to go to an external source to view a full listing of bans. A simple pop-up textbox with the ruleset would do just fine. These simple changes could help smooth out the experience currently available in the Pro Moshpit playlist. The playlist does primarily serves as an appetizer to League Play, but still deserves simple updates to ensure gameplay quality is upkept. You can find more opinions, news, guides, etc. on CharlieIntel daily and be sure to follow us on Twitter at @CharlieIntel.